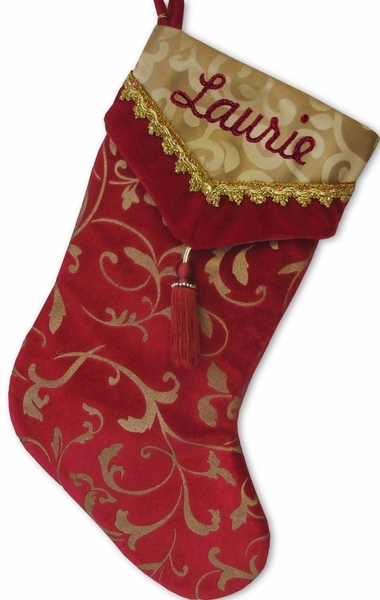 Personalized Velvet Christmas Stockings with Gold accents. Another classic in our designer collection. Embroidered in matching Burgundy thread. Materials: The stocking is made from velvet materials, fabric tassel, lining is polyester satin.